Fanuc I/O Operator panel module reference FANUC A20B-2002-0470 for sale This Fanuc module is a Fanuc I/O module to be connected between the FANUC CNC Control series 0i, 15i, 16i, 18i, 20i, 21i and your Fanuc manual pulse generators (Fanuc Handwheel). This FANUC A20B-2002-0470 includes the following connectors JD1A, JD1B, JA3, CPD1, CE53, CE54. 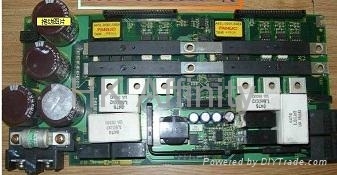 Fanuc I/O Module type A20B-2002-0470 comes with a warranty.